I love the big blousy pants that are popular now. Simplicity 1069, View A fits the bill perfectly. It has a tie at the waist as a design element but I didn’t make that. They fit like palazzos with a zipper up the back. I found this fabric at Joann – it’s one of their signature fabrics and it’s a woven Rayon Challis in Ocean so it’s very flowey, drapey, extremely soft and loose. A perfect lightweight fabric for the hot and humid summers here in South Texas. I love this paisley print. It’s hard to see here but the background is a rich deep blue and the paisley is a beautiful teal. 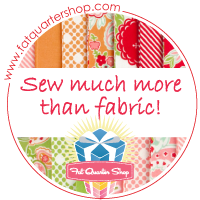 A rotary cutter was a must with this fabric because it would shift just by looking at it! I added one of my old labels. Oh, I just ordered new ones from Dutch Label Shop. If you order some, use coupon code girlsinthegarden (all one word lower case) by 23 July 16 for 15% off. They have a really cool interface to help you design your labels. This pattern turned out so comfy and pretty! I’ve already worn them to work a couple of times. I also made a pair of shorts, View C using Gertie’s Strawberries in rayon challis too! Love them! Just hanging loose at our coast house! ← June is for Babies! They’re lovely, both pairs. Great fabric choice, too.